Soft and Squishy and Cute profile design. High quality soft and spongy memory elastic material, ideal for people with non-mechanical, and low profile mechanical gaming keyboards. Promotes upper hand and wrist movement.This Keyboard Wrist Support will Help you Maintain Proper Wrist Alignment, and Will Help you Avoid Joint and Wrist problems (rheumatoid arthritis, carpal tunnel syndrome). 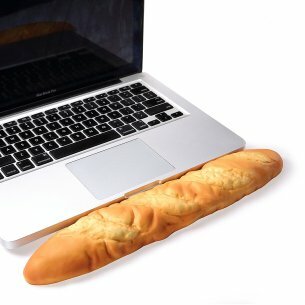 This Keyboard Wrist Pad Conforms to Hand Weight, yet does not lose its Shape. Its non-skid backing holds pad firmly in place. The Litop Keyboard Wrist Pad conforms to wrists for exceptional comfort. 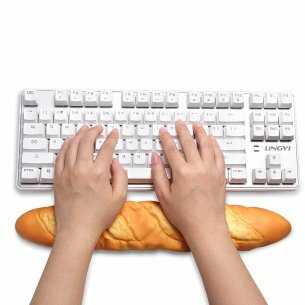 Provides heavy grip preventing sliding or movement of gaming wrist rest. Washable, soft surface + Foam interior (medium firmness). 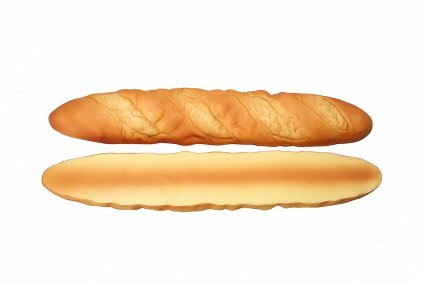 It looks bread, non stylish and creative, it is suitable as a gift to your friend.